In modern, Western, ‘developed’ societies, we can isolate three interrelated discourses or ‘master narratives’ which locate the Sikhs as subjects. The ﬁrst narrative identiﬁes the Sikhs as followers of a universal world religion, such as Islam or Christianity (Dusenbery 1999: 127-142). The second narrative identiﬁes the Sikhs as a nation. 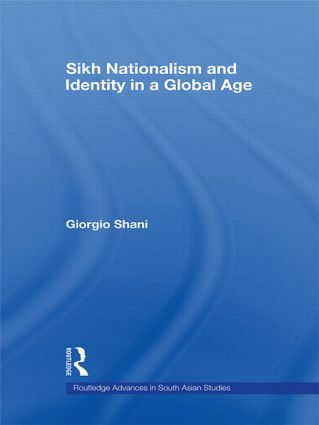 Sikh nationalism may be seen as relying on the interpellation of overseas Sikh communities as members of a Sikh nation, rather than as followers of a world religion or as Punjabis or Indians (see previous chapters). Finally, the Sikhs have recently been ‘interpellated’ (Althusser 1971), both by scholars of the Sikhs working in Western academic institutions and by diasporic organizations, as a ‘diaspora’.